/Are You Struggling To Find Environmentally Responsible Packaging? If you are truly committed to running your business in an environmentally responsible way, don’t carbon credits just seem like a cop out? Successful firms can buy these credits and pollute as much as they want because they have assurances that someone on the other side of the world is planting more trees or whatever. The only way to build brand loyalty as a green company is to ensure that this message is carried across everything you do, from using LED lights in your shop or factory to using recyclable packaging that will biodegrade. If you are struggling to find green packaging that doesn’t cost the earth, here are four useful tips to consider. As a green company, you still have to play by the same rules as everyone else. You can’t rely on packaging firms with slow turnaround times just because they offer green packaging. Delays means lost orders, lost sales and lost customers for you and there’s no way you can help change the world and people’s recycling habits if you lose business. Fortunately, there are packing firms who offer both quality recyclable packages and a speedy turnaround times. You get flexibility and urgency without having to compromise on your need for environmentally responsible packaging. By subscribing to magazines and newsletters as well as joining social media groups in and around the packaging and paper industries, you can easily keep abreast of the latest green perspectives on packaging. Read articles about what the industry leaders are doing to minimize the environmental impact of their paper, card and packaging and then find firms in your area that are open to adopting these practices. You can tell a lot about a packaging firm by where they source their paper, card and paperboard from. Packaging manufactures who are serious about protecting the natural environment will have established working relationships with manufacturers of green paperboard. Paperboard doesn’t have to spell doom for the world, Strathcona Paper LP produces a 100% recycled clay-coated paperboard, for example. Packaging suppliers that use this product will give you packaging that meets the most rigorous environmental standards anywhere in the world, ISO 14001:2000(4). A manufacturer using a paperboard supplier of this caliber shows you that they have the knowledge and experience to give you the greenest possible packaging. It is a shame that traditional foil stamping has such as high environmental impact as it’s such an effectively way to make your product stand out on store shelves. The production process wastes a lot of foil and foil-stamped packaging is notoriously hard to recycle. 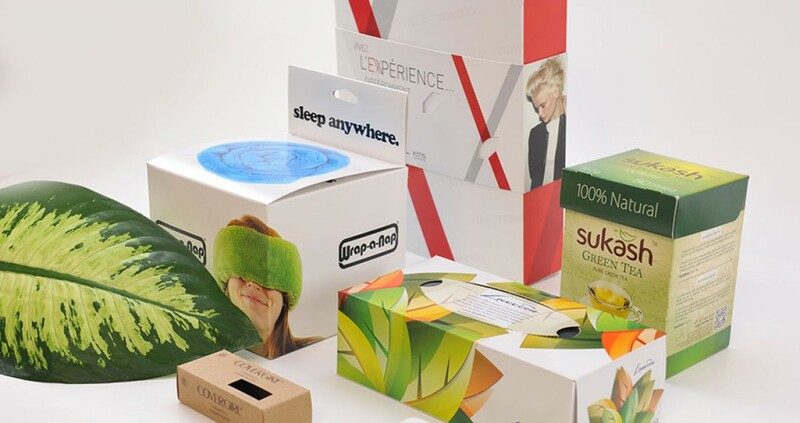 If you are struggling to find a green packaging supplier who can handle foil stamping, you may not know that a company called Henkel produces a foil-like coating called MiraFoil. This is 100 percent recyclable and applied to precise areas unlike traditional foil stamping where lots of foil is wasted. This gives you a greener manufacturing process and a green packaging that will really wow your customers. 5 Reasons To Switch Your Cardboard Packaging Supplier And Go Green! →← Fly With The Right Packaging Company And Watch Your Products Soar!